Michael Eakman, a poker aficionado from a very young age, has hosted poker tournaments from around the country, but Texas gambling laws have long shut him out of his own state and his hometown of Houston. This year, however, he opened the city’s first restricted membership-based poker club, joining several Texas entrepreneurs who believe they have found a way to circumvent those regulations and host everything from friendly poker games to competitive tournaments. Unlike traditional gambling houses, Mint Poker in southeast Houston does not take a share of any gambled money, referred to as raking the pot. Instead, the club and similar ones across the state charge membership fees for players wanting to play in the club, a business approach that pushes the boundaries of legal gambling. But so far, Eakman and other entrepreneurs in Austin and north Dallas haven’t drawn any unwanted attention from the Legislature or state regulatory agencies. Their efforts are gaining enough traction that they’re looking to expand. They have formed an association to represent their interest and are hoping to establish more clubs across Texas. “In our conversations with the city attorney here in our jurisdiction, we made everyone aware of what we were doing before we even signed the lease,” Eakman said. “I certainly don’t want to challenge anyone to bring a court case, but I think at the end of the day we’re handling this by being proactive instead of reactive is the way to do this. … There are no regulations and guidelines other than the narrow scope of a very vague law.” Bingo, horse and dog racetracks, Native American casinos and even the state-run Texas Lottery all provide outlets for Texans trying to test their luck. At least three other membership-based poker clubs have opened in addition to the Houston business: Texas Card House with two locations in Austin, and Poker Rooms of Texas in north Dallas. They recently joined forces as the Texas Association of Social Card Clubs, and have begun working with longtime utilities lobbyist Tim VonKennel to represent them within the Texas Legislature, Eakman said. VonKennel is the father of Texas Card House owner Sam VonKennel, and said he helped organize the Texas Association of Social Card Clubs to increase legislators’ awareness of membership-based poker clubs in Texas. Sen. Jose Menendez, a Democrat from San Antonio, said he was involved with the creation of membership-based poker in Texas, encouraging Eakman to devise a business model that could clear the hurdles of Texas gambling laws when they met at a poker tournament. “I think it’s a little hypocritical that we can have a state lottery or horse racing in texas but we can’t let people play poker,” Menendez said. Basically, as far as I can tell, these things are legal until proven otherwise, which is to say until some law enforcement agency makes an arrest, or until Ken Paxton issues an opinion. The story above appeared a few weeks ago and fell into my drafted-but-never-got-around-to-publishing pile, then I saw this AP story and dug it back up. As noted, while the state has not given an opinion on this sort of thing, local law enforcement has, at least in some places. On Sept. 7, Dallas police executed a search warrant at CJ’s Card Club on Walnut Hill Lane. Police filed a report alleging the keeping of a gambling place. The case remains under investigation. A department spokeswoman declined to release any further information. The club has since closed, its website and Facebook page have been shut down, and its operators could not be reached. Around that same time, Poker Rooms of Texas closed after Plano police questioned the legality of that operation. The club opened late last year in a strip center storefront on Parker Road off Independence Parkway. It reportedly attracted scores of players each night. Its website states that it “is working with local authorities to resolve operational issues.” Its owners did not return messages. The website for Lucky’s Card Room in Fort Worth says the club is temporarily closed while it works on a new location. And the site for TopSet Poker Club in Plano stated that its grand opening, formerly set for September, has been delayed while it considers options in light of problems identified at similar businesses. Big Texas Poker Club opened in late August in a commercial building off Jupiter Road in Plano. Owners Fred and Heather Zimmerman said they did their homework to ensure that they would be legal. Three weeks later, they shut down to avoid arrest. “This is a legitimate business, and it’s better than illegal poker rooms,” Fred Zimmerman said. The couple said they were transparent about their club as they sought a city permit to open. Only after they started gaining members did they receive “threatening letters” from police stating that their business model violated the state’s gambling law. Plano City Attorney Paige Mims said certificates of occupancy are about the fitness of a building and have nothing to do with the activity inside. As for whether a private card room can operate, she said the city does not give legal advice. Police spokesman David Tilley declined to go into details about his department’s conversations with the poker rooms. “Gambling is illegal in the state of Texas,” he said. In other words, if you have a favorite spot to play Texas Hold’Em, don’t get too attached to it. I should note that there was an effort in the 2009 legislative session to carve out a legal exception for poker, but it didn’t make it. If there’s been a similar effort since then, I’m not aware of it; that one had a social media/PR push behind it and there’s been no such thing in subsequent sessions. The legislator who filed the pro-poker bill back then was then-Rep., now-Sen. Jose Menendez, who as you can see still supports the idea. Like I said, I wish these guys luck. I’m not a poker player myself, but I see no reason not to let ’em play. 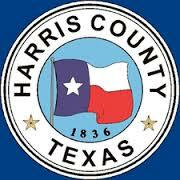 Last week, Harris County Commissioners Court opted not to join a lawsuit challenging the state’s controversial “sanctuary cities” law as unconstitutional. Harris County Attorney Vince Ryan, however, has filed a brief asking a federal court to halt its implementation on Sept. 1. Special Assistant County Attorney Terry O’Rourke said that come Sept 1., with no injunction stopping SB4’s implementation, the county attorney’s office does not know how it will handle certain child welfare cases. “That’s an ethical hell that we do not want to experience, and that’s why Vince Ryan has asked the federal court for guidance,” O’ Rourke said. You can see the specific objections in the story. This is not as good as if Commissioners Court had voted to join the litigation, but it’s something. In the meantime, Cameron County and the city of Laredo have joined the plaintiffs, and there are a couple of bills to repeal SB4 that have been filed for the special session, though of course neither of them will get anywhere. It’s still important to make the stand, and in the better-late-than-never department, business interests are weighing in as well. It’s hard to overstate how much damage the Republicans in charge have done to Texas’ reputation this year, and there’s still more to come. Stace has more. 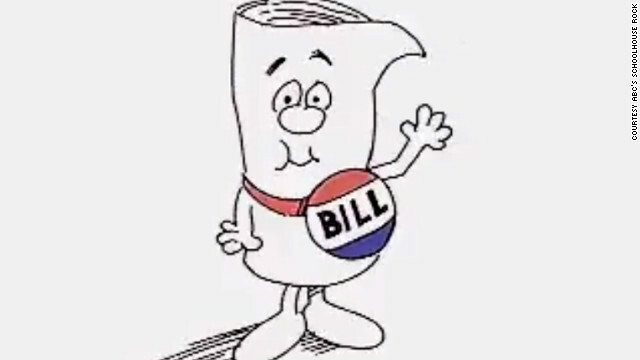 The bill now heads to Gov. 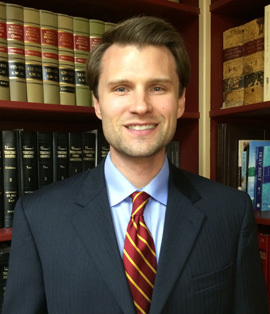 Greg Abbott, who declared the legislation an “emergency item” in the early days of the legislative session, and is widely expected to sign it. “We will let the court systems figure this out,” he told state Sen. Jose Menendez during a lengthy back-and-forth about probable cause. You better believe there will be lawsuits. I trust we’ll have top-notch lawyers on this, I just hope the courts will keep up. May this wretched law never spend a day being enforced. The Chron, the Observer, and RG Ratcliffe have more. The Texas Senate late Tuesday gave preliminary approval to a controversial immigration measure to ban “sanctuary” jurisdictions in the state. Senate Bill 4, filed by state Sen. Charles Perry, would punish local and state government entities and college campuses that refuse to cooperate with federal immigration officials or enforce immigration laws. The vote was 20-11 along party lines. It would also punish local governments if their law enforcement agencies fail to honor requests, known as detainers, from federal Immigration and Customs Enforcement officers to hand over immigrants in custody for possible deportation. The punishment would be a denial of state grant funds. The bill doesn’t apply to victims of or witnesses to crimes, public schools or hospital districts. The vote came after Perry added tough civil and criminal penalties for entities that don’t comply with the bill’s provisions. One amendment would make a department head whose agency violates the provisions of SB 4 subject to criminal prosecution in the form of a class A misdemeanor. Another added a provision that would subject the local agency to civil penalties, including a fine at least $1,000 for the first offense and $25,000 for each subsequent violation. 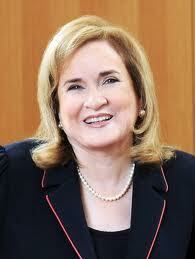 The severity of the proposals prompted state Sen. Sylvia Garcia, D-Houston to ask Perry how far he was willing to go. “What’s the next [amendment] going to do? Take their first born?” she asked. The upper chamber also predictably shot down by party line votes several amendments Democrats offered to make the bill more palatable to their constituents, including a measure by state Sen. Judith Zaffirini, D-Laredo, that would have excluded college campuses. An amendment by state Sen. José Menéndez, D-San Antonio, which sought to require peace officers to learn immigration law was also voted down, as was another by state Sen. Eddie Lucio, Jr. that would have prohibited the arrest of a person only because he or she was in the country illegally. Garcia also asked Perry to remove a section of the bill that would punish a local entity for “endorsing” a policy that prohibits or discourages enforcing immigration law. Garcia said that section could be a violation of an elected official’s right to free speech and could be interpreted broadly. See here for the background. There will certainly be lawsuits filed when this thing gets signed into law. The fact that legal genius Ken Paxton swears it’s legal is irrelevant – was there ever a chance he wouldn’t say that? – though what the courts ultimately do with this remains to be seen. (Other lawyers disagree with Paxton’s assessment.) The thing that needs to happen of course is for there to be a political price to pay for passing this bill. Lots of people showed up to testify against SB4. We need that same kind of turnout next November. Stace has more. Will there be TMF-Menendez round 2? Last February, Jose Menendez beat Trey Martinez Fischer to serve the remainder of Leticia Van De Putte’s term when she decided to run for mayor. Campaign finance reports filed Wednesday may point to a rematch this fall. “Without money you don’t get your message out, so that’s why having money is important,” says Senator Menendez. “It’s quite a compliment and a testament to the work I do in Austin, and that believe in my public service,” says Martinez Fischer. Combined the two men have raised more than $400,000 , according to their campaigns and finance reports. “There’s no doubt about it, I’m giving it some very serious consideration. The special election was just in very recent memory, but there isn’t a day goes by in San Antonio that I’m not stopped in the street, or talking to people in a restaurant where they don’t ask about this race,” says Martinez Fischer. “I can’t worry about who’s going to run, I have to worry about doing my job, and at the end of the day, come Election Day if I’ve done my job then the voters I believe will send me back to Austin,” says Menendez. Menendez came in second in the general election, and then won handily in the runoff, and he admits he had Republican Party backing, he’s not sure he’ll need it if he and Martinez Fischer meet again. “At the end of the day it doesn’t matter how many slick ads are cut, it doesn’t matter how many fliers you have, or how many signs are out there. What matters is that people believe that you care enough to work on what matters to them,” says Menendez. 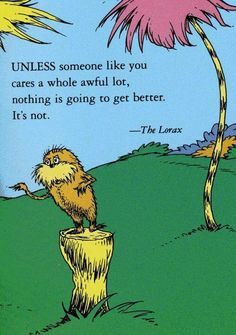 Anything is possible, but let’s remember two things. One, for all the hullabaloo and self-loathing among some Democrats for the way Menendez won the runoff, the fact remains that even TMF’s post-election analysis showed Menendez had significant Democratic support. Republican voters preferred him over TMF, but that was likely more about them disliking TMF and his combative personality, as there was no ideological reason for them to have a preference. And that’s point two: For all the hue and cry about Menendez being more “conservative” than TMF, there’s nothing I know of in his voting record, in the House or in his short term so far in the Senate, to back that up. If TMF challenges Menendez in March – and I say this as someone who likes TMF and would have voted for him in SD26 if I had lived there – what does he have to use against him in that race? My guess is this would be one of those all-heat, little-light races that everyone hates. 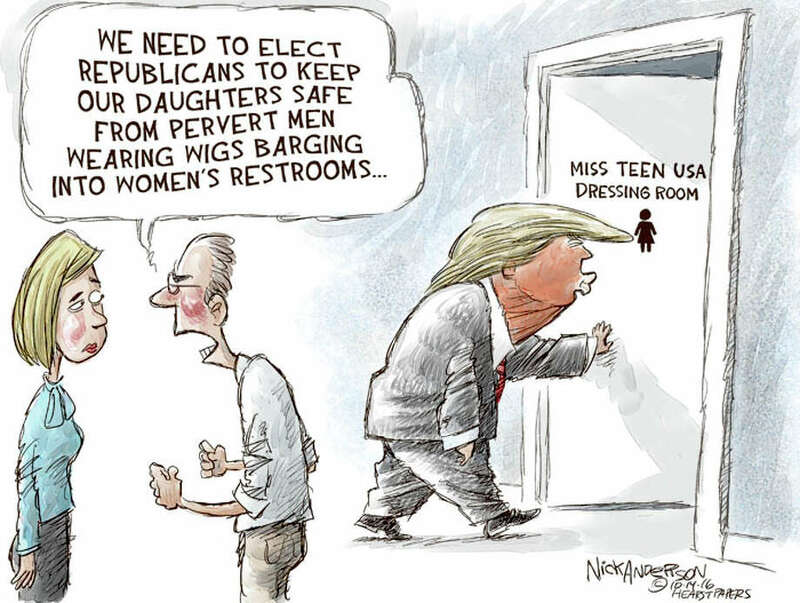 This is how it goes when two candidates that have no real difference between them on the issues battle it out. I have no opinion about whether or not TMF should challenge Menendez in March. If he does it’s fine and if he doesn’t it’s fine. All I’m saying is that the special election runoff from this year has nothing to tell us about how such a race might go next year. The runoff in the special election in Texas House District 124 will be April 21 under a proclamation issued Thursday by Gov. Greg Abbott. Pitted in the race to fill the unexpired term of now-state Sen. Jose Menendez, D-San Antonio, are attorney Ina Minjarez and former Councilwoman Delicia Herrera, both Democrats. Minjarez was the top vote-getter in the four-person special election on March 31, capturing 42 percent of the vote, followed by Herrera with 28. Early voting starts Monday, as in this Monday – see here for times and locations. The short turnaround time won’t do anything to help improve turnout, but again, the longer the time between Election Days, the less time the next Representative would have to represent that district. The tradeoff seems worthwhile to me. Best of luck to both candidates. Early voting for the special election to fill Sen. Jose Menendez’s now-vacant HD124 seat begins Monday. The Rivard Report provides a brief profile of three of the candidates in that race. Delicia Herrera, 41, who served on council from 2007 through 2012, said her experience representing the district, which overlaps the House district by 90 percent, clearly makes her the most qualified candidate for the job. “I know the issues. At the state level, you don’t address the details of particular issues. But being on city council, a lot of the issues you cannot address without partnerships with the State,” Herrera said. The first in her family to go to college, Herrera’s public school experiences informed her education policy positions. She credits full-day pre-kindergarten with creating the “foundation of a strong educational path for me,” and was in 5th grade in the Edgewood school district when the Supreme Court of Texas decided the landmark Edgewood Independent School District v. Kirby, altering the formula used to fund Texas schools, a decision that reverberates in Texas law and politics to this day. Today, Herrera owns two homes, one in the Edgewood district and one in the Northside district. She noted, and a review of the Bexar County Appraisal District records confirm, that she pays four times more to Northside than to Edgewood, a differential greater than the difference of appraised value of the respective homes. This inequality rankles Herrera. But while education is a priority for the constituents of HD124, she said transportation is the district’s top concern. She expressed frustration with congestion in the district, but said she’s opposed to the diversion of funds from the vehicle sales tax. Following the passage of last year’s constitutional amendment, which is expected to add $1.74 billion of new transportation spending for fiscal year 2015, multiple bills have been introduced in this session seeking even more funds for transportation. Often these bills earmark funds from certain revenue streams such as the vehicle sales tax. Herrera would prefer to fund transportation out of general revenue. This is the first run for a legislative office for Ina Minjarez, 39, but in 2006 she narrowly lost a judge’s race in County Court at Law No. 5 and lost in her second attempt for that bench in the Republican wave of 2010. She said her desire to serve remained; she decided to run after exploring the possibility with members of the community. “I received very positive feedback,” she said. Born in El Paso, her mother was an elementary school cashier and her father a veteran who started his own concrete business. Their dedication to her education led Minjarez to Notre Dame, and then St. Mary’s University School of Law. A six-year stint in the District Attorney’s office followed. Today she works in private practice. She’s sending out mailers introducing herself to the voters of HD124, and after several days of blockwalking, she too identified transportation as a top voter priority – and it’s no wonder: congestion at the intersections of Highways 90, 151 and 1604 provide constant headaches to residents, two-thirds of whom spend between 15 and 44 minutes getting to work, according to the District Profile Report. Minjarez said she “liked what she saw” after reviewing two filed bills that earmarked proceeds from the vehicle sales tax to be used for transportation funds, but said she’d have to do more research if elected. She said was generally in favor of providing prekindergarten statewide, but worried about the greater cost. For almost all the issues we discussed, Minjarez said she preferred to seek out bill sponsors and their staffs to get more information before committing to specific positions. 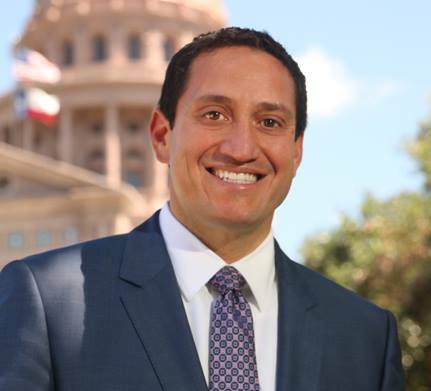 Nathan Alonzo, Alonzo, while he has no elected experience, has spent the last five legislative sessions in Austin working on behalf of the firefighter’s union, so is very familiar with how things get done in the legislature. A firefighter like his father, Alonzo spent his first four years in the district, later graduating from Jefferson High School. He took some courses at Alamo College and Tarrant Junior College before joining the San Antonio Fire Department. Ten years ago, he took on the role of legislative director after stints as district steward, second vice president and serving on the public relations committee for the union. He’s also acted as United Way Coordinator for the City of San Antonio. He expressed support for using roughly $4 billion from the state’s Economic Stabilization Fund – better known as the “Rainy Day Fund” – to meet some of the unmet transportation and education needs. The fund is currently projected to reach $11.1 billion by 2017. Fourth candidate and Republican-running-as-a-Democrat David Rosa did not respond to the author’s request for an interview, so three out of four is what you get. Not a whole lot of substantive difference between them, which isn’t too surprising. I personally think dedicating a portion of sales taxes specifically to transportation is a silly idea – if the Legislature wants to spend more money on transportation, it can appropriate more money to transportation; specific-purpose dedications like that are why they engage in so many budgetary hijinx every two years, which the rest of us then sniff at indignantly – but that seems to be the flavor of the session, so there you go. Any fireworks in this race will likely occur during a runoff, which is the odds-on outcome given the number of candidates and the lack of a clear frontrunner. Anyone from San Antonio want to weigh in on the choice in this race? Really, truly, hopefully the last special legislative election this year. This session, anyway. Four Democrats officially are in the running for Texas House District 124, the Bexar County seat that opened up with José Menéndez’s promotion last month to the upper chamber. 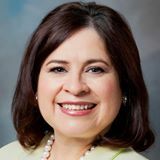 Candidates for the March 31 special election to replace the San Antonio Democrat include firefighter Nathan Alonzo, former San Antonio City Councilmember Delicia Herrera and attorney Ina Minjarez. Rounding out the ballot is David Rosa, an independent insurance agent who unsuccessfully ran in 2012 as a Republican against U.S. Rep. Joaquin Castro, D-San Antonio. 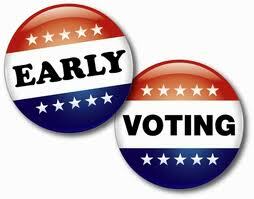 Early voting in HD 124 runs from March 23 through March 27. – Delicia Herrera’s personal Facebook page shows that VoteDelicia.com will be her campaign website, but it doesn’t appear to be up right now. She has a campaign Facebook page and Twitter feed from her aborted 2012 run for HD125. I presume either that they will be updated or a new ones will be created. – Ina Minjaerz does not have a campaign webpage yet, but she does have a campaign Facebook page and a Twitter feed. 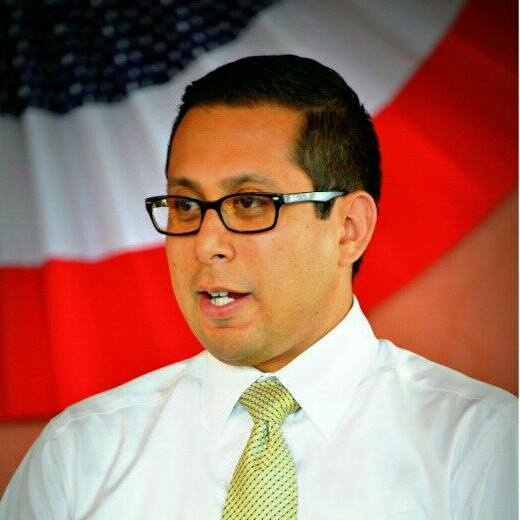 – David Rosa also has a campaign Facebook page from 2012, when he ran for Congress against Rep. Joaquin Castro. Here’s a story from that in case you’re interested. We’re already less than two weeks away from the start of early voting, so to say the least this campaign will be a mad sprint, likely followed by an intense runoff. Don’t be surprised if the turnout in the runoff is higher, either. In the meantime, if anyone has any insights on these four, please leave a comment. Thanks. UPDATE: Gilbert Garcia’s column on David Rosa and his cynical part-switching gambit is worth a read.